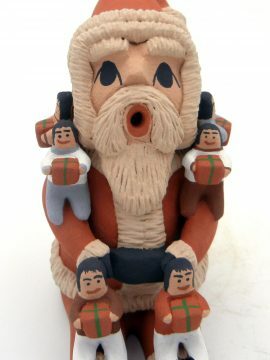 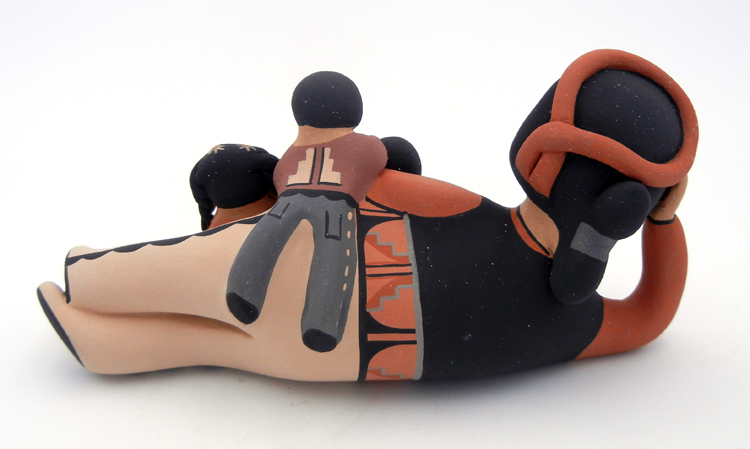 Differing slightly from a traditional storyteller in that this piece features a main figure lying down, this adorable storyteller figurine by Jemez potter Linda Lucero Fragua also features three children. 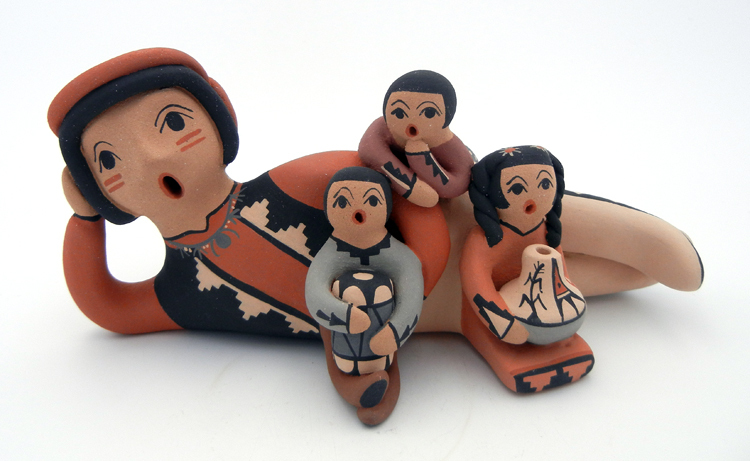 A man lies on his side, painted in traditional garb and a grey and buff necklace, while two children sit in front of him and one, on top of his opposite side. 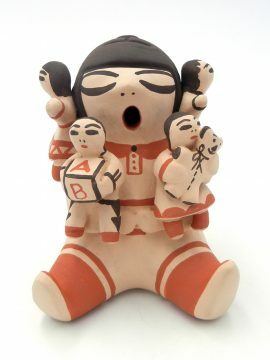 The sitting boy holds a drum, while the sitting girl holds a piece of pottery, and the boy atop his side rests his chin on one hand. 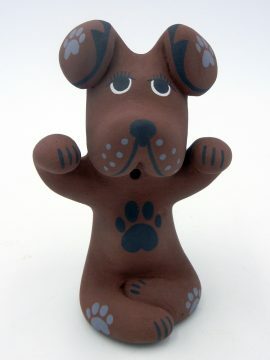 7 1/2″ long x 3 1/2″ wide.